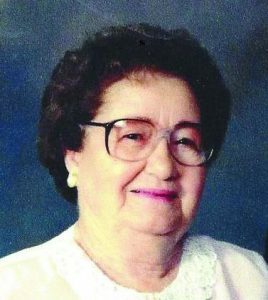 Wanda Morris, 89, of Estancia, passed away July 22. She was born March 20, 1926, in Cimarron, Kans., to the late August and Wanda (Hertzog) Schultz. Family was the most important thing to Wanda and she adored each and every family member. Wanda was a long-time member of the Estancia Church of Christ and very much loved spending time with her church family. Wanda loved to garden, loved flowers and cooking for her family and friends. She was kind, loving and caring person and will be deeply missed by her family and friends. She was preceded in death by her husband, Thomas Morris; son, Thomas Ray Morris Jr.; sister, Viola Solomon and brothers Forrest Schultz, August Schultz Pete Schultz, Andy Schultz and Wayne Schultz. Wanda is survived by her son and daughter-in-law, Raymond and D’Aun Morris of Torreón; daughter and son-in-law, Barbara L. and Cecil Wheeler of Conway, Ark. ; sister, Amelia Shield; sister-in-law, Naomi Morris; grandchildren, Dane and Genell Morris of Moriarty, Evan and Kelley Morris of Moriarty, Staci and Day McCuien of Conway, Ark., and Lisa Wheeler of Conway, Ark. ; and great-grandchildren, Zandria McCuien and Braedyn McCuien of Conway, Ark. Visitation was July 27 at Harris-Hanlon Mortuary in Moriarty. A funeral service was held July 28 at the Estancia Church of Christ, with Preacher Johnny Moore officiating. Interment followed at the Estancia Cemetery in Estancia. Pallbearers were Larry Gustin, Dominic Salvo, Jeremiah Turner, Shane Wimberly, Brian Morga and Rocky King. Honorary pallbearers are her children, grandchildren, nieces and nephews. 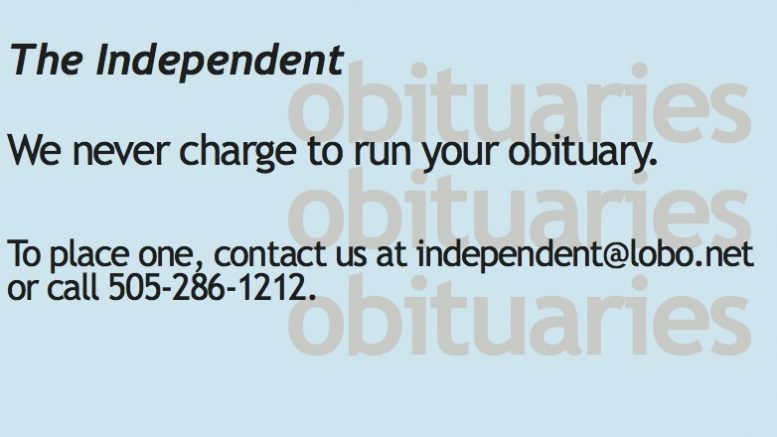 Arrangements were entrusted to Harris-Hanlon Mortuary.